Use of native plants in home landscaping joins together both our native heritage and a healthy land ethic. Native plants have many inherent qualities and adaptive traits that make them aesthetically pleasing, practical, and ecologically valuable for landscaping. They contribute to the health, and even the restoration, of an ecosystem by placing fewer demands on resources. Native plants are those that evolved in a region over geologic time and whose distribution across the landscape occurred mostly because of climate events and adaptation to site conditions related to land formations. Exotics, on the other hand, are plants that are directly, deliberately, or accidentally introduced by human action. In this country, natives are generally defined as plants that were found in North America before European settlement. In a more local context, natives are natural elements of a regional landscape. Thus some species that are native to North America could be exotic in western North Carolina. The introduction of exotic plants into a landscape poses potential threats to biodiversity. Exotics that escape and naturalize may invade native plant communities, spreading out, competing with, and displacing the natives. Some exotics transmit disease and support exotic insects. The floral composition of native plant communities can be protected by using native rather than exotic species. 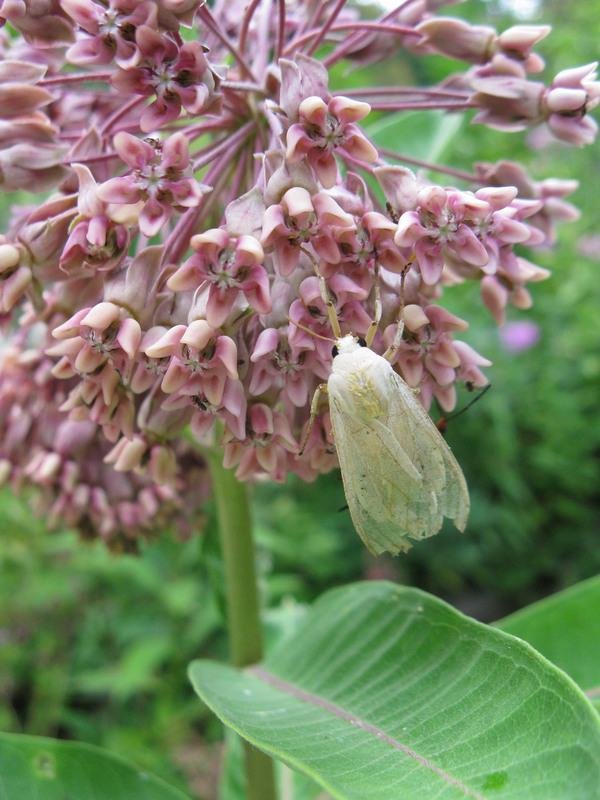 Using natives in landscaping helps sustain native butterflies, moths, and other beneficial insects; native birds, reptiles, mammals, and other fauna. Spring migrating and nesting birds rely on the insects in our lush deciduous forests to give them the energy to travel long distances and raise their young. Fall migrating birds depend on high-energy fruits from flowering Dogwood, Spicebush, and Virginia Creeper. Beech, Oak, and Hickory trees provide a great nesting habitat and important nuts and acorns for a variety of wildlife. In the winter, evergreen trees like American Holly, White Pine, and Hemlocks provide important shelter and food. It is important when landscaping with natives to match the right plants with the right site conditions. Many native species are particular about their sun exposure, soil pH, and moisture availability; so do your homework before planting. Before designing your landscape, visit a natural area and observe the conditions in which the plants are growing and notice which plants occur together in their native habitats. When purchasing plants, inquire about the plant’s origins and buy only nursery propagated plants. Some retailers sell plants which were removed (sometimes illegally) from the wild, such as Trillium or Ladies-slipper orchids. These plants seldom survive transplanting and should not be purchased. 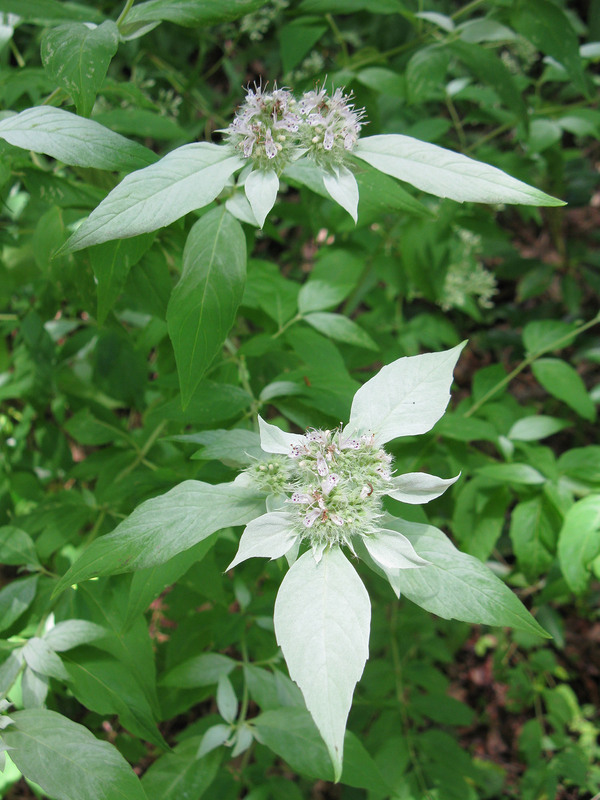 Your county office of Cooperative Extension, the Botanical Gardens at Asheville or local vendors of native plants can provide guidance about the types of plants that promise success in your specific location. Remember, too, that in many cases when houses are built, the top soil that contains the organic matter that supports plants has been removed. A soil analysis will tell you if you need to improve your soil to support healthy plant growth. Soil analysis kits are available at your county extension office. The 23 counties comprising western North Carolina lie within a region noted for its complex terrain and its great diversity of plants and animals. Site conditions for landscaping are determined by topography, soil depth, soil texture, elevation, degree of exposure, availability of light, and local drainage. Soils in this region are largely derived from underlying Pennsylvanian sandstones and shales, which tend to produce soils that are well-drained, loamy, strongly acidic, and low in natural fertility. In this region, soil pH is consistently low (acidic) and, therefore, plays a lesser role in determining site conditions than other factors. These varying site conditions support a mosaic of native plant communities. Dry, south-facing slopes have extremely acidic soils that support species such as Mountain Laurel, Pines, Oaks, Hickories, and low bush Blueberry. Moist, north-facing slopes support a mixed evergreen/hardwood community type frequently dominated by Canada Hemlock, Tulip tree, and Maple. Species-rich cove hardwood forests dominate lower slopes and creek drainages. These sheltered sites support a broad range of flowering understory trees and showy herbaceous species, as well as dense stands of Rhododendron. For landscaping purposes, it is important to remember that plants growing in our region are specifically adapted to site conditions determined by elevation (which affects temperature and degree of sun and wind), topography (which affects moisture, light availability, and exposure) and the amount of shading from other plants. Matching plants to site conditions and improving soil, if necessary, will usually result in the best plant growth. Information adapted from “Landscaping with Native Plants,” brochure printed in 1999 out of a collaboration of the Gardens, NCSU, USDA Forest Service, US Fish and Wildlife Service, Western North Carolina Tomorrow, and the Yellow Creek Botanical Institute. The brochure is no longer in print.